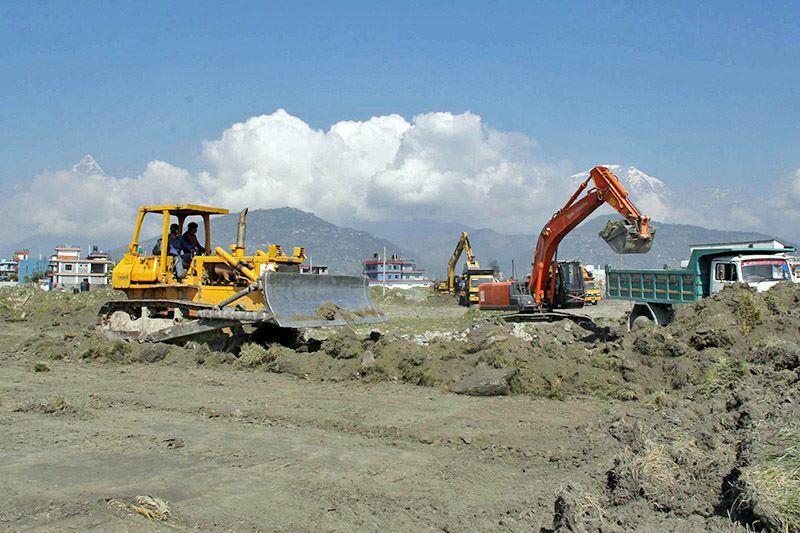 KATHMANDU, July 02: The construction of Pokhara International Airport has been seen 12% completion. Project Chief Binesh Munakarmi said that 45% of the ground foundation work has been completed while the same is underway in the eastern part of the airport. The construction work is being done under the employment of more than 170 workers and two dozen equipments. The technical manpower consists of 20 Nepali and 30 Chinese workers. According to Chief Munkarmi, the parking, terminal building, taxiway and subway are currently being constructed. The airport is being constructed with a deadline of completion by July, 2021.